Now I’m not one for ignoring magazines. When I was younger the only ones I ever bought were Top of the Pops and Girl Talk. But looking at this new Vlog magazine has confused me. Firstly because I am unsure of what age audience they are trying to target and why they have included the things they have within it. I want to clarify that I haven’t bought this magazine, nor will I. I don’t want to encourage the series and I also don’t have 3.99 to spend on a magazine either – what under 16 year old does unless they’re borrowing the money? Looking at this magazine I can tell that they’re trying to appeal to a young audience. The design is something I used to drool over when I was twelve trying to find the newest Avril Lavigne or Blink-182 poster. Although this is a good marketing tool to intice young people in, I don’t believe this is the target audience. 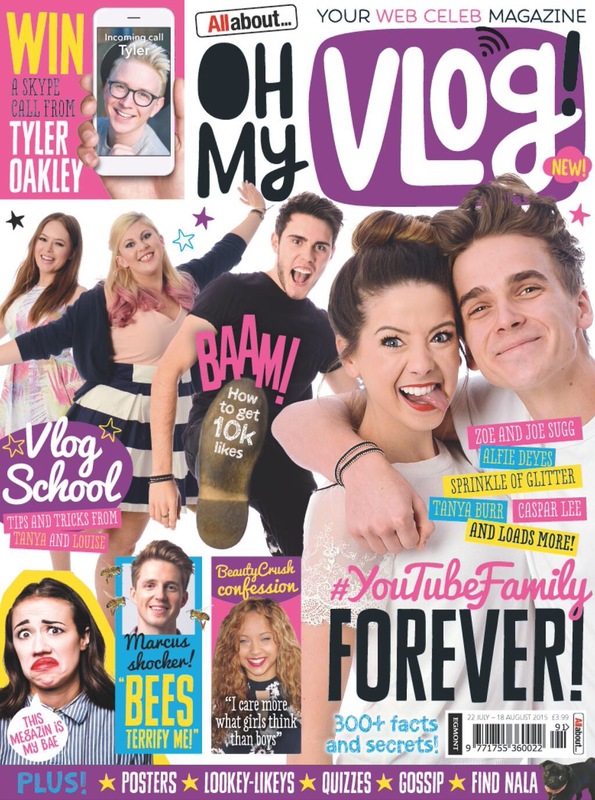 Many people I know who watch vloggers are fourteen and above and so are not going to buy a magazine that looks like that. I find it weird as well that all the beauty and skincare and clothes that these youtubers talk about in their videos are very “adult” (as if I’d wear bobby brown and Clinique when I was younger!) So, to me, this magazine has adopted a completely wrong look to try and find the target audience they are after. What I found weird about this particular magazine is that it is unofficial and the actual YouTubers involved in it aren’t getting any commission or thanks within it. Many of the interviews and facts about the YouTubers have been taken from other sources so may not even be true and will obviously be stuff that the fans who will buy this magazine already know! 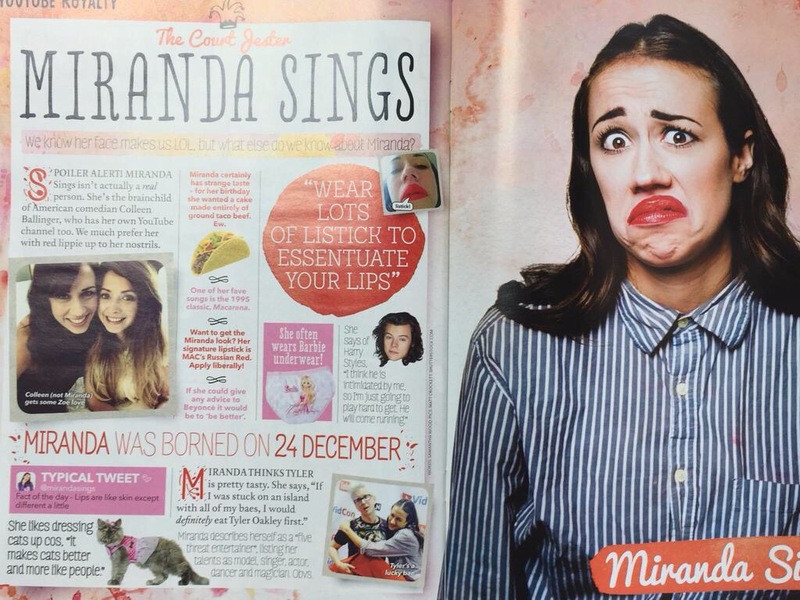 I am unsure as to why a print magazine was the way to go with these vloggers too. As their whole lively hood is based on the internet it is weird to drop back down to print media. This magazine will most likely only include bigger YouTubers too which means they will become even bigger and the smaller YouTubers will be left in the dust. Maybe I’m too old for these sorts of magazines now. But I know I’m not too old (yet) to not watch YouTubers especially as they help me find higher end make up products that I wouldn’t know about otherwise. Some people have found this insulting too, what about us older people? Maybe there just isn’t a good way of reaching out to us about our favourite celebrities. What do you think of the new magazine? Will you be buying it?